Low noise, high headroom, and total portability. 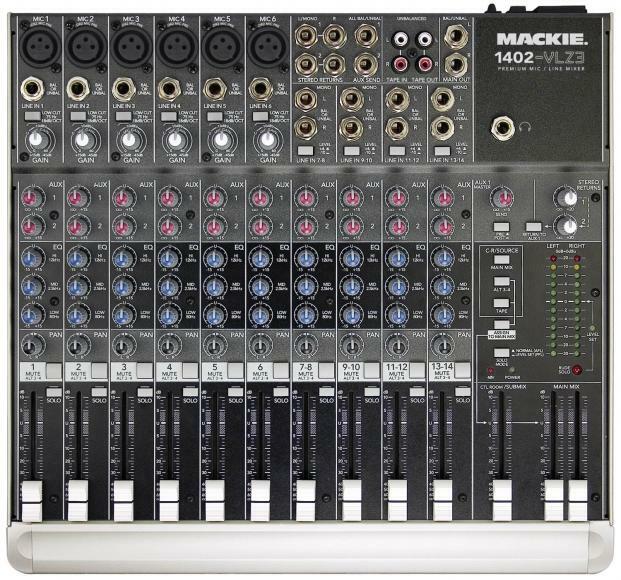 The travel-friendly Mackie 1402-VLZ PRO Compact Mixer is sturdy, portable and resilient. 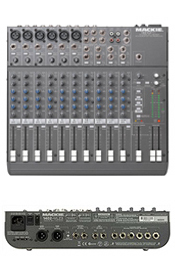 14-line input mixer (6 mono, 4 stereo) comes equipped with Mackie's XDR studio-grade preamps on mono channels for ultralow noise, high-headroom performance. 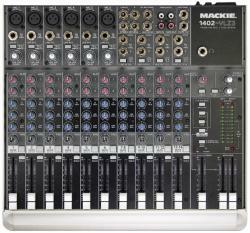 Also has XLR and 1/4" inputs on mono channels, phantom power, and powerful RF rejection thanks to a DC-pulse transformer. Other features include 60mm long-wear, log-taper faders; 2 aux sends with level, pan, and PFL solo on each; 4 stereo aux returns plus effects to Monitor, 3-band active EQ with Lo-Cut filter, ALT 3/4 stereo bus, a Control Room/Phones source matrix, and a steel chassis.